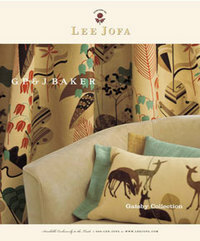 These are home decorator fabrics from the Gatsby Collection by G.P. & J. Baker . I love the abstract botanical print on the drapes (pattern is called "Harebell") and the sweet, gentle deer on the pillow (pattern is called "Deer"). And also the work of Amy Karol (http://www.kingpod.com/) has captured this same aesthetic in her fabulous art quilts. 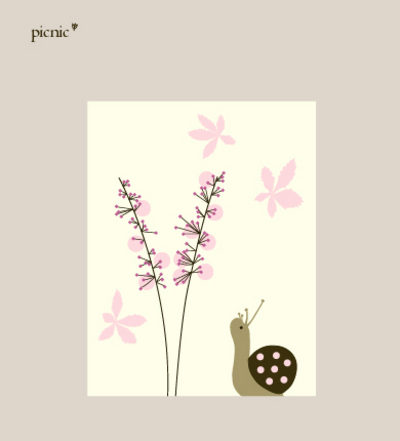 Snails, squirrels, deer, trees - I'd like to try to work some of this sensibility into my projects on deck. My next quilt project is a quilted growth chart for Brynne, and I have a woodland theme in mind. The idea was inspired by the Pencilz Growth Chart (at the bottom of the page) from Stargazey Quilts. I'm borrowing the basic concept, but customizing the design to suit my own style. Hopefully the execution will work out as well as it looks in my head!